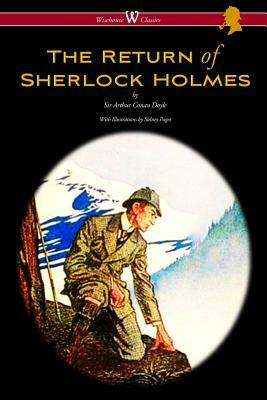 The book was first published in February 1905 by McClure, Phillips & Co. (New York) then on March 7, 1905 by Georges Newnes, Ltd. (London) and was the first Holmes collection since 1893, when Holmes had "died" in "The Final Problem." Having published The Hound of the Baskervilles in 1901-1902 (setting it before Holmes' death) Doyle came under intense pressure to revive his famous character. The first story is set in 1894 and has Holmes returning in London and explaining the period from 1891-94, a period called "The Great Hiatus" by Sherlockian enthusiasts. Also of note is Watson's statement in the last story of the cycle that Holmes has retired, and forbids him to publish any more stories.